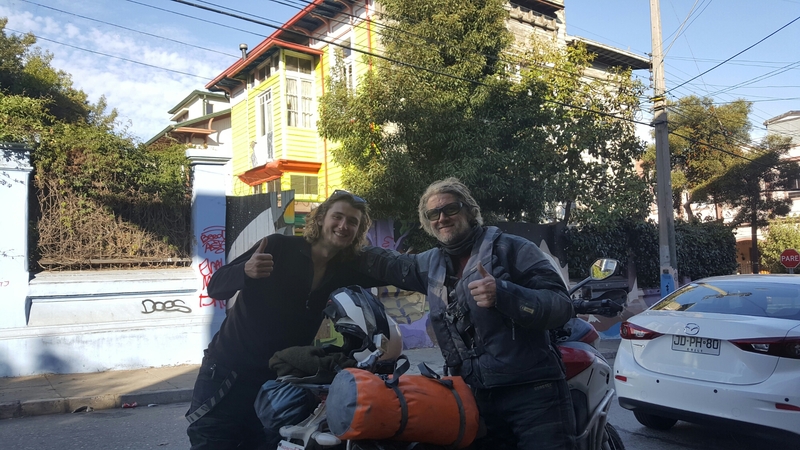 Today we should finish our ride up on valiparisio chile where we will park the bikes and they will be put into a container with other bikes and shipped back to the west coast. Sanfrancisco is the port. The road we are on now is like driving the interstate. Road road road. We stop for fuel and to use wifi. We slept at the gas station lawn last night. The couple here open up their house to motorcycle riders who travel the area. Some riders ship their bikes with them and others don’t. Some have challenges when the do their own paperwork and end up here to sort it out. 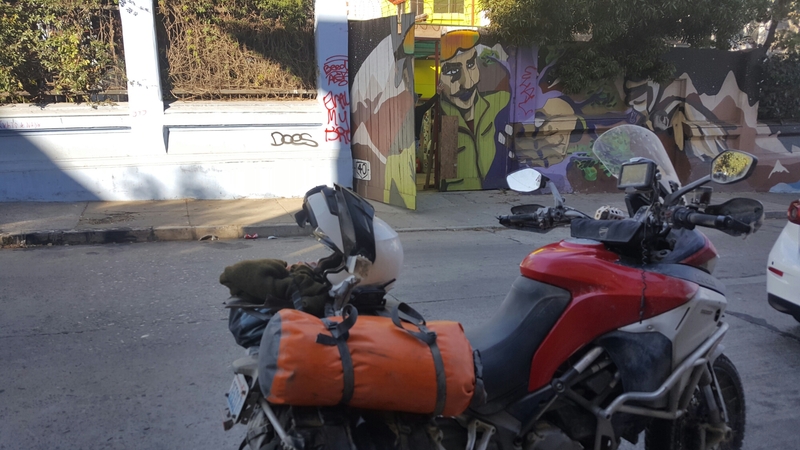 It’s very relaxed here and every day it’s new people so we exchange routes and stories from the road. 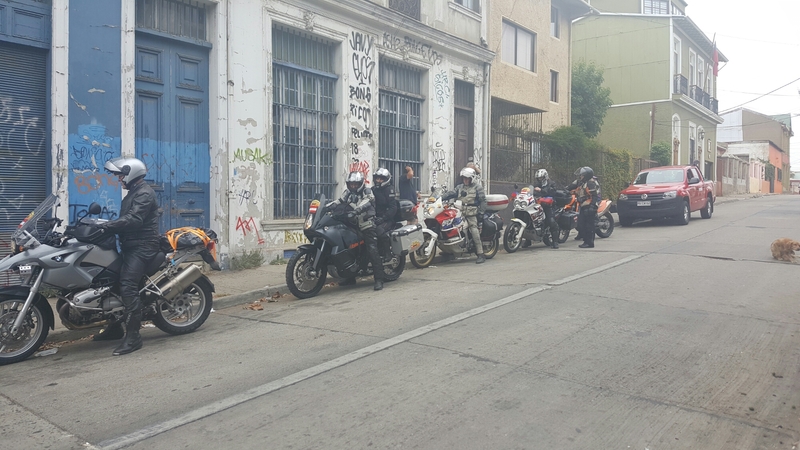 A group of eight Austrians on five bikes they shipped in.